As I have said before on Got A Ukulele, it's always a real pleasure to write a review about a hand made, luthier built ukulele. 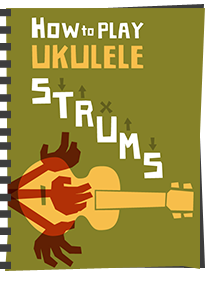 I was therefore delighted recently to bring another Tinguitar uke into the Got A Ukulele fold, built by Robert Collins of Hebden Bridge, in the UK. This one is a 'reclaimed mahogany' soprano. The first model from Tinguitar I featured on the site was a custom model, a solid body electro tenor ukulele that I commissioned from Rob direct. That is to say, I met up with Rob, specified the woods, looks, detailing and Rob built it for me to order. In fact I ordered it at his workshop and selected the actual woods he used from his extensive stocks of tonewoods on the workshop shelves. I think it's one of the very best things about using a luthier as you can specify exactly what you want, (within reason!). Because of that level of planning, I know that's not for everyone though, so alongside his custom creations, Rob also builds more standard instruments 'on spec', for sale without a specific buyer in mind. I suppose you can call them the 'off the peg' Tinguitar models used to show off his work - yet they are built in exactly the same way and to the same quality standards as all his instruments. I've actually been thinking of grabbing one of his more standard sopranos for quite some time but never quite got around to it. Then I spied a series of instruments he was advertising made from reclaimed tonewoods and just had to have one. 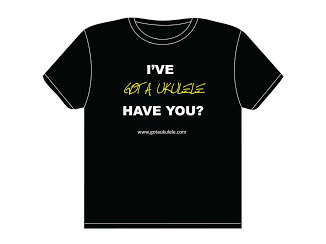 For those who don't know, Rob is one of the only full time ukulele luthiers in the UK today. This IS what he does for a living. Without pre-judging this one, I'm a fan of his work. In fact, I am not the only one and his instruments have been played on festival stages by people like Ian Emmerson, Phil Doleman, Samantha Muir and Del Rey and many others. He's also one of the team being the Grand Northern Ukulele Festival. 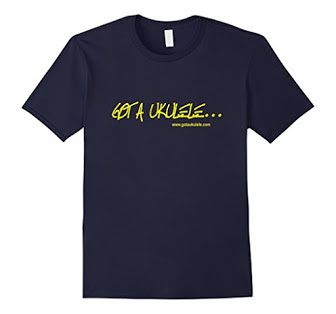 I think it's fair to say he knows his ukuleles! So here we have a standard shaped and scaled soprano ukulele made from solid reclaimed mahogany. More specifically, this is made of Brazilian Mahogany. Now, bear in mind that it's not been possible to get virgin brazilian mahogany for quite some time as it was made illegal to log it / export it for very good reason. As such, any 'new' ukulele you see made from mahogany today will be not be Brazilian. Yet many luthiers agree that the Brazilian variety of this particular wood has a richer tone and is considered the superior variant for stringed musical instruments as a tonewood. It's like the difference between acacia wood and koa I suppose - they are effectively the same tree, but koa is acacia that is grown ONLY in Hawaii - and does sound different because of it. And that's where using reclaimed wood provides a luthier with a brilliant eco friendly option that you won't find with mass produced instruments that stick to commercial woods. So, if it's banned, how does Rob do it without falling foul of the law? Well the mahogany in this particular instrument came from old stair treads and office doors from between the 1940's and 1960's that were destined for the skip. You see, as well as using virgin woods in some of his creations, Rob takes these wood pieces away as salvage materials wherever he can find them, splits and sands them into tone woods, and hey presto - 'instant vintage mahogany' from a tree that was long since felled and already used! I absolutely love the story behind it and as pressures on natural resources continue to increase around the globe I think it's a great option for a luthier and a very green one too. It's an even better option when you consider that if Rob hadn't salvaged this particular wood, it would likely have been shredded into pellets and thrown with other waste woods into an energy plant and gone up in a puff of smoke! I for one am happy it was turned into a musical instrument instead! What a great story? So as you will see, this is a solid top back and sides instrument made from that reclaimed mahogany, and it's gorgeously deep, rich and orangey brown in colour. The top and back are single pieces and the sides are in a pair. The back is very (very) slightly arched and it's put together precisely and neatly all over. Finishing the body is a coating of Tru-Oil which Rob then buffs back with a microfibre mesh to create a rather lovely hand rubbed finish. It's not hyper glossy, but it's not rough on the fingers either. It just looks, for want of a better word, 'vintage'. And the finish really brings out that deep, deep colour and grain of the wood. In some lights and angles the wood can look paler, but turn it and as the grain fibres move against the light it seems to flush it with a much richer darker brown. Being a single piece top and back, the grain is swirly rather than bookmatched into a pattern, if that sort of thing bothers you, but that's no different to the Martin S1. I think it's wonderful. In fact I could have written several paragraphs in this review just about the colour and look of the wood! I love just looking at it. I think the pictures I have taken, from different angles, show how it changes in the light, but you would need to see it in the flesh to 'get it'. I had seen pictures of it online and really liked it but opening it at home was a totally different experience. In another step up from his most basic sopranos, this one has had the added top edge binding in ebony. There is no other decoration, and whilst I personally like my instruments totally plain (and this essentially is) the black of the ebony top edge really works here I think in giving it a little 'something' else. It's not flashy or blingy, but kind of 'just enough' decoration for me. 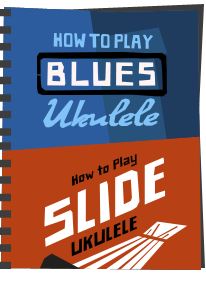 I'm not a glitzy ukulele fan, but know that some of you are - but that's where Rob can offer a range of options on custom orders that will satisfy even the most gaudy desires! Bridge wise we have a slotted bridge also made of ebony, fitted with a saddle made from Corian - a very dense stone substitute often used for kitchen counters. It's in a typical Martin slotted style, but no complaints from me there. They work. It's also very tidily carved and much nicer on the finish than the Martin S1 ukulele I reviewed. And the tidy nature of the build continues inside. There is no mess at all and not a hint of glue seepage anywhere. We have the signed and numbered makers label, delicate scalloped bracing and notched kerfing linings. All very nice. Interesting point here - on the inside because you can see the raw cut wood with no oil finish, you see the tiny white flecks in the grain which is a telltale sign of Brazilian Mahogany. Up to the neck, and this too is made of reclaimed mahogany. It's been put together from three pieces, but not in the normal factory way of stacking them at the heel and headstock. These pieces are in a sandwich along the whole length, the middle strip creating a very subtle stripe down the neck and right through the headstock. It's a very similar mahogany, but 'just' different enough to create an attractive stripe detail. Noticeable, but not flashy or gaudy. So essentialy two different pieces of mahogany used to create a sandwich of three parts. Clever and very effective I think. Topping this is an ebony fingerboard which is in great condition and super dark in colour. Fitted to this are 14 nickel silver frets with 12 to the body joint. Not the greatest number of frets i've seen, but equally not a totally standard 12 like on so many sopranos. Like the Martin S1 ukulele I recently reviewed they are very delicate and thin, suiting a soprano perfectly. They are also dressed really nicely. There are no position markers on the face of the fingerboard and a solitary single mother of pearl dot on the side at the 7th space. That may bother some people, but I don't feel like it's missing them myself. The single dot allows me to know where I am and it is only soprano scale after all. In fairness here - please note, having no dots is not a 'feature' for Tinguitar and in fact most of his instruments carry them in the usual places. It's just that this one doesn't and that's cool with me. Personally, I like the minimalist look and the dark ebony. At the nut we have a 34mm width which is a little narrower than I would normally like if I am honest, but then I have big hands! The headstock shape is the Tinguitar standard and one I really like, mirroring part of his logo. It also makes for a nice amount of space above the nut so you don't find your fretting hand bumping the headstock as you do with some other models with badly thought out and massive headstocks. Somebody recently commented on one of my reviews that the shape of a headstock is irrelevant to a review and that they wished I would shut up about them... I could not disagree more! It really IS relevant, as anyone with an uncomfortably large headstock will know . There is nothing worse than an oversized headstock at the base as they do affect the fretting hand. I don't mention headstock shapes for no reason! Rant over. Fitted into this are Grover friction tuners, which are actually their newer 6 series. I've really been looking forward to trying these as I usually use Grover 4's and rate them highly. The 6 series are a bit lighter and claim to work just as well as the 4's. I can confirm that they certainly DO. They hold just fine and don't require wrist snapping amounts of tension on the set screw, whilst still turning smoothly with no jumps that you get with cheaper friction tuners. I will be buying these again. Another good example of friction pegs that demonstrate that not all friction pegs are the work of Satan. Finally, it's strung with Rob's choice of strings for his instruments, which is Seaguar fluorocarbon line. Price wise, in this specification it was £325. I think that is tremendous value for money when you consider the work and man hours that went into it. Obviously that is just for this particular one. Rob is not making these on a production line and as such this one is unique to me. Whilst that may seem odd for a review choice, it's still actually very representative of his off the peg soprano prices. I've seen Rob make standard sopranos without the edge bindings and in plainer woods for a bit less than this price and some for a very similar price or possibly a touch more. Equally, you can spend much more too depending on the detailing because the price is all about the time it takes to make them. Ultimately though, it's like I've said many times. 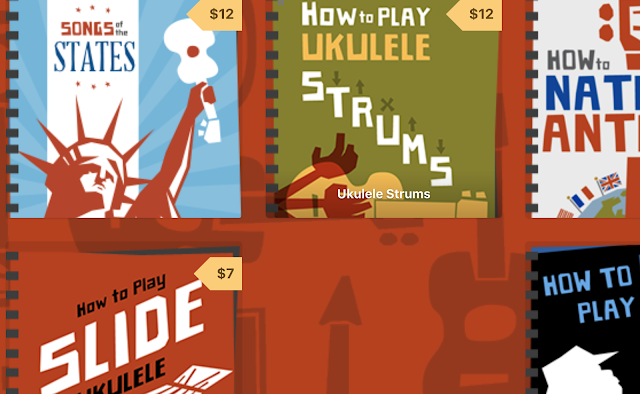 Owning a luthier built ukulele can be a lot cheaper than you may expect. I do think people often shy away thinking 'these are too rich for me', or 'I could never afford a luthier built instrument'... I think that you may be surprised! And when you read on and consider the price comparison to some other sopranos of similar spec, I may convince you completely! On to playing it. The first thing you notice after that striking colour richness, is how lightweight and balanced it is in the hands. It's really nothing at all. Nothing! In fact, (and this is no word of a lie), when the courier delivered this to my place he joked at my door that I was signing for an empty box. And the reason for that is that the tone woods used on this are really, really thin and delicate. There I stood with a huge box (on account of the excellent packing Rob sent it wrapped in) that weighed nothing at all! And with that thin body comes a tremendous resonance. Seriously, this one is like a drum and kind of feels like it is vibrating if you lightly touch it. In fact if you do tap on the soundboard that's exactly what happens. It's as lively as you can imagine. Set up wise, I have no complaints either, with nothing I would change at all. And that's how it should be. This was not made on a Chinese production line that relies on a QC check to make sure that 'most' are OK. It feels great in the hands on account of that hand rubbed finish, strangely making it feel like I have already owned it for years and worn the wood in with years of sweat and oil from the hands. Oh, and the finish also smells gorgeous too if you like that sort of thing. A very tactile and classy looking instrument indeed. And that resonance really strikes you when you first play it. With even a very slight strum on the strings this projects extremely well and clearly. Dig in more and it has a hell of a bark (in a very good way, just like a soprano should!!). You feel the vibration backwards into your chest and it's immensely satisfying. All notes are clear and in their place, and the intonation all over the neck is great. Naturally I tested this one side by side with my recent reviews of both the Martin S1 and the Kiwaya KTS-5 (how could I not?). Each are mahogany sopranos, each have a non gloss finish and the Kiwaya and Martin are both very decent ukuleles. Volume wise they are all on a par with each other, but tone wise, this one has a far richer and much more rounded sound than the Martin. It's similar to the Kiwaya I think, yet still different. It really is massively warmer than the Martin though though still has some bite and jangle. In fact playing this for a while has made be revisit my thoughts on the Martin and now feel it sounds a lot thinner than I would like. And bear in mind, in this spec, this is cheaper than both of those two ukuleles.... for an instrument hand made in the UK, not in a faceless factory but in a tiny workshop in West Yorkshire. Well.. I think that's remarkable really. And whether the richness in tone comes from the build, the fact that it's Brazilian mahogany, or the fact that it's OLD and aged Brazilian mahogany, I can't say for sure. It's probably a mix of all three really. Whichever, it works for me and I think it's just delightful. To be fair, the other two I am comparing it to were each tested with different strings, albeit fluorocarbon in each case, but one thing is for certain - this one still punches well above it's weight and, to my ears at least is at least on a par with the considerably higher priced Kiwaya. It's THAT nice. Rich, bright yet warm, light in the hands, well made and beautifully classy to look at. Really, what's not to like here? And I am well aware that many readers will know that Rob is a personal friend of mine, and I perhaps need to point that out considering how much I am bigging this one up. But it's not me being a sycophant. He really DOES make great instruments and there are countless other people including professionals who will agree. And I also know full well that, like any other builder, he will have been very nervous about what I was going to say about this one, because people know that I speak my mind on here. But, you know - this isn't a loan instrument and I am not reviewing this for a favour. I paid him my own cash for this one, and I wouldn't have done that if I didn't know that he makes great instruments. And this IS a great soprano, and also one of the highest scores I've ever given to an instrument in all my time. A high end finish and tone for less than a high end price. Keep an eye on his site or Facebook page for other 'on spec' models like this one, or even better, drop him a line to talk about options for a custom. 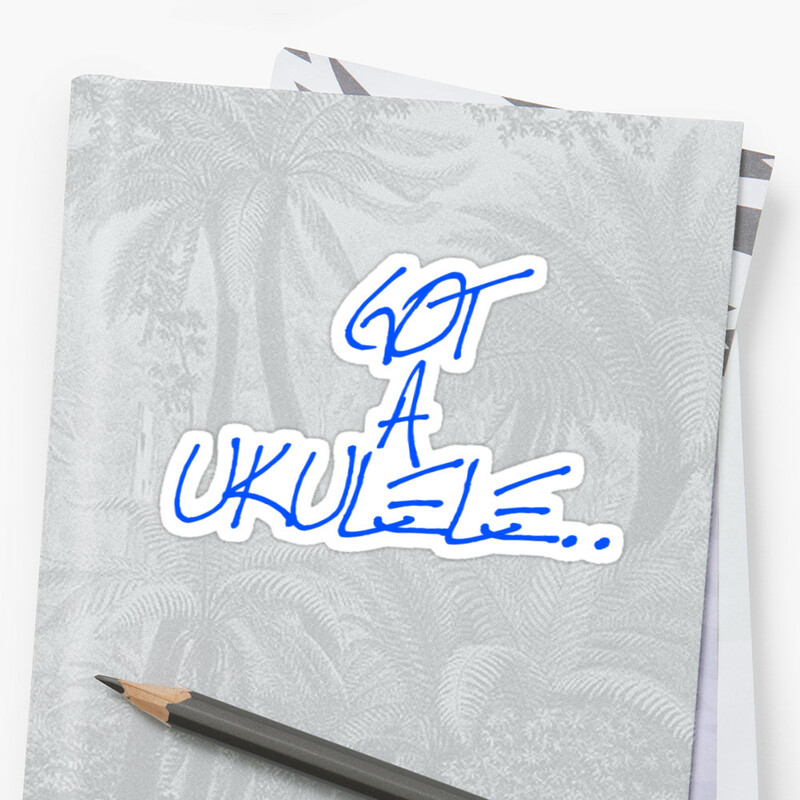 I don't think anyone who appreciates a good ukulele would regret it. Would like a slightly wider nut, but it's still perfectly playable. Nice review on a nice sounding instrument. I've just sent Rob an email to see if we can get together on a tenor. Wow, simply wow. What a gorgeous uke. I really like the whole look, but the clean look of the fretboard really completes it. Front fret markers seem so unnecessary to me, since I don't teach others to play. The single side marker at 7 looks good, makes sense and seems quite workable on a soprano scale - I'd probably cave in and ask for a 5 and a 10 too if I was placing an order though! I visited Rob at his workshop last Saturday and have commissioned a concert uke in ovangkol, khaya and Pau ferro. Really looking forward to receiving it. It'll be a while but worth the wait. 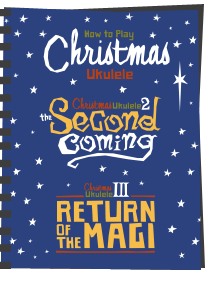 I couldn't quite get my head around being able to buy a luthier-made personalised concert uke for a tad more than I paid for a Pono mahogany concert. Rob is a genuine nice guy and I'm really glad to have made the trip to meet him. I bought a soprano mahogany uke from Rob, its just a wonderfull intrument. I really love it. Thanks for this very inspiring review. Just received my Mahogany Tenor from Rob and all of your comments in your review apply. I changed the strings to Ken Middleton's low G set and I'm delighted with the sound. The resonance and sustain are perfect. I now keep the Kanile'a K1 on high G and Rob's on low G giving me a nice choice of instruments. It's nice to be able switch when some tunes demand a few notes below middle C and Rob's instrument really gives a nice deep tone. Glad you put me on to him.